Lucas Fire-Rescue was established in 1973 as a 100% Volunteer Fire Department. It remained that way until October of 2013 when the first career firefighter/paramedics were hired. In April of 2014, the department acquired two ambulances and began providing Emergency Medical Services (EMS). Today the department responds to all emergency calls for fire suppression and EMS, with the majority of those calls for EMS. In addition to responding to emergency calls, other primary duties consist of actions necessary for fire prevention and readiness through public education, emergency management, and community programs. Lucas Fire-Rescue is comprised of 15 career firefighter/paramedics and 21 volunteers, making it a combination department. The department strives to provide the highest level of service to everyone who lives in, works in, and visits the City of Lucas. Does the City of Lucas have an Outdoor Warning System/Sirens? The City of Lucas does not have an Outdoor Warning System. These sirens are intended to warn citizens who may be outdoors during an emergency. Lucas citizens may rely on the use of the communication tools listed on our Information Dissemination page by filling out our online Event Request Form for local incidents. Please visit the FDA website at http://www.fda.gov/forconsumers/consumerupdates/ucm101653.htm. How can I relay a compliment or complaint concerning Lucas Fire-Rescue? Compliments or complaints can be directed to the Lucas Fire-Rescue administration office at 972-727-1242 or 165 Country Club Rd. from 8 a.m. to 5 p.m. Monday through Friday. 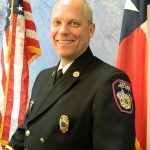 How do I request a fire station tour, presentation, fire drill or event notification? Each of these requests can be arranged by filling out our Online Event Request Form, contacting the Fire-Rescue administration office at 972-727-1242, or visiting our office at 165 Country Club Rd. from 8 a.m. to 5 p.m. Monday through Friday. What is the ISO rating for Lucas Fire-Rescue? The Insurance Service Office (ISO) of Texas issues every community an insurance or ISO rating classification. The City of Lucas has an ISO rating of #2, which was issued in 2018. Does Lucas Fire-Rescue install or check child car seats at the fire station? No, at this time Lucas Fire-Rescue does not check or install child safety seats at the fire station. Please see the safercar website at http://www.safercar.gov/cpsApp/cps/index.htm, for area locations. Yes, Lucas Fire-Rescue offers this free service at the fire station. Please know that crews might be absent from the station due to emergency calls. A multi-purpose fire extinguisher is best for the home. Look for and extinguisher with a rating of at least 2A:10B:C on the label. These types of extinguishers can be used on any type of fire commonly occurring in the home. They will often be labeled “ABC” or “All Purpose” and can be purchased in most large home-improvement or hardware stores. Will the City do foster care safety inspections? Yes, please contact Joe Hilbourn at (972) 727-8999 and allow 48 hours for scheduling.